The “House of Welcome,” Longhouse Education and Cultural Center opened in 1995 at The Evergreen State College in Olympia, Washington. 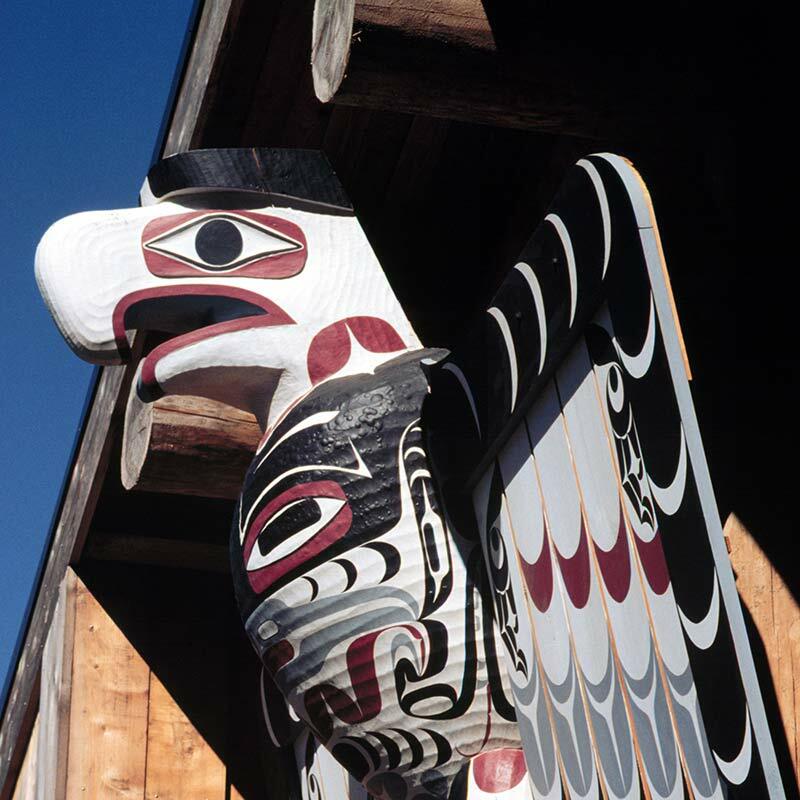 As a public service center of The Evergreen State College, the Longhouse’s mission is to promote Indigenous arts and cultures through education, cultural preservation, creative expression, and economic development. 6) We are developing the Indigenous Arts Campus, a series of buildings that are each informed by Indigenous architectural design concepts: the Longhouse (1995, expanded in 2009); the carving studio (2012); the fiber arts studio (2017); and the cast glass studio (2021). Programming in these studios will support the preservation of Indigenous cultures while providing opportunities for contemporary artistic expression. We continue to develop curricula and strategies for a proposed Master of Fine Arts (MFA) in Indigenous Arts at The Evergreen State College. The Longhouse promotes Indigenous arts and culture at local, national and international levels. In 1996, the Longhouse began a partnership with six local tribes to administer a Native economic development arts initiative. Since then, both our services and our geographical reach have expanded. We host Native arts sales, exhibitions and performances; provide marketing services to artists; and through residency programs with master artists, we inspire new artists to develop their abilities and help established artists to expand their capacities. We host convenings of Indigenous artists and arts organizations from across North America and around the Pacific Rim. In August 2017, the Longhouse will be hosting an invitational Gathering of Indigenous Visual Artists featuring artists from the Pacific Northwest and around the Pacific Rim, including New Zealand. As the date approaches, be sure to visit our events page for more details. We mentor other Native arts organizations, and provide programs that give individual artists the resources needed for artistic and professional growth. With support from the Ford Foundation, the Longhouse’s Native Arts Program has expanded beyond the Northwest region, into a national grant-making program for American Indian, Alaska Native and Native Hawaiian artists. The Longhouse has also established an international Indigenous residency program with the New Zealand government’s Ministry of Culture: the Toi Sgʷigʷialʔtxʷ residency program. All of the Longhouse’s programs are intertribal and intergenerational, though the majority of the participants are practicing adult artists. We also provide numerous opportunities for the public to engage with artists and their art through markets, exhibitions, presentations and other events.